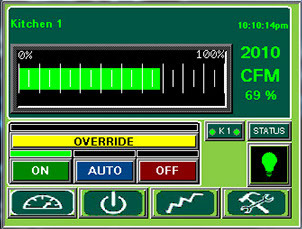 The TruFlow demand ventilation controller is the cornerstone of our energy-efficient ventilation systems. 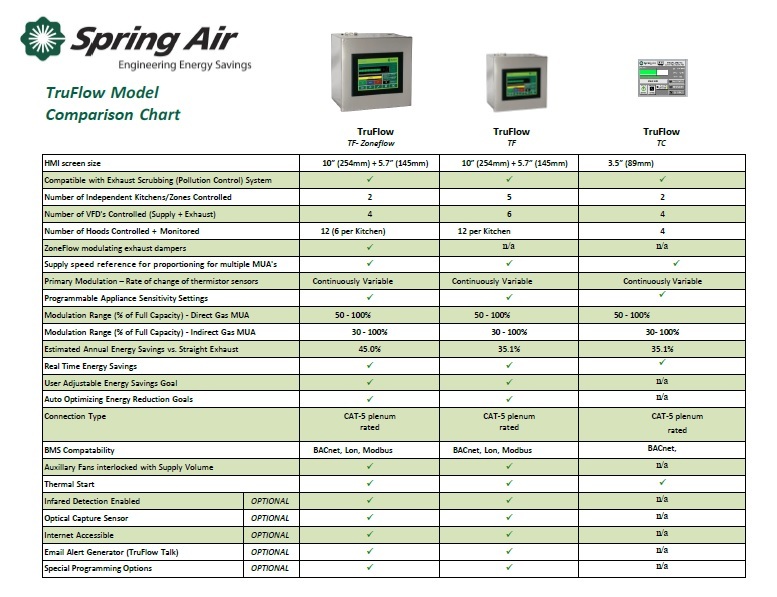 Engineered and manufactured by Spring Air Systems, it comes in models designed for different kitchen sizes, appliance line-ups, energy savings goals and budgets. The TruFlow constantly monitors and calibrates exhaust air to match appliances in use, enabling exhaust hoods and fans, volume dampers and supply air units to work perfectly in unison with one another while maximizing energy efficiency. 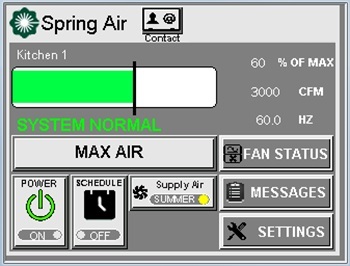 We also offer a variety of other controllers with more basic functions, which manage individual ventilation components. 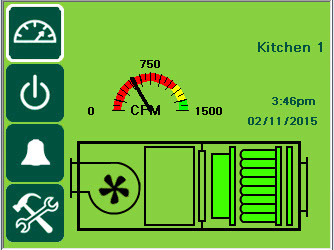 For large kitchens with many exhaust hoods with Zoneflow volume dampers, and one or two exhaust fans. For medium to large kitchens with many exhaust hoods, and up to 4 exhaust fans. 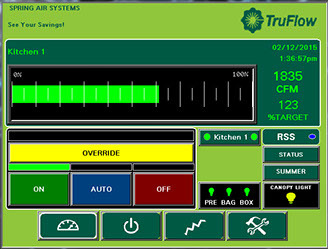 For small to medium kitchens with multiple exhaust hoods, and one or two exhaust fans. 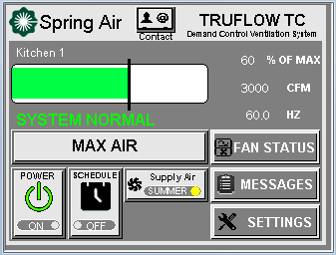 TruFlow boosts profits from day one. 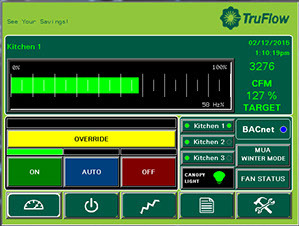 When large chain restaurant wanted to cut operational costs, TruFlow was the essential ingredient for reducing energy usage and increasing efficiency. 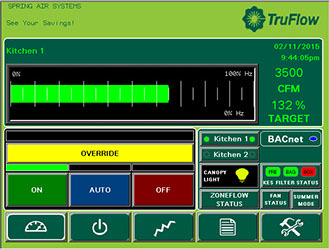 TruFlow controller for kitchen with many exhaust hoods, Zoneflow volume dampers, and a KES exhaust filtration system.